What makes a leader a „digital“ leader? A big part of the Digital Transformation is the role of our leaders. At conferences, magazines and the internet we can read every day, that leaders have to change. I have a slightly different perspective on that. It sees whenever something new comes up, we are talking about „change“ as if there is a magic method to get from present to future state. In my eyes most of the time it would be more valuable to take a closer look, what are the new demands and how to educate ourselves to become familiar and professional about it. For a conference, where I was asked to share my personal view on „Digital Leadership“ (as I was recognized with a „Digital Leader award„). 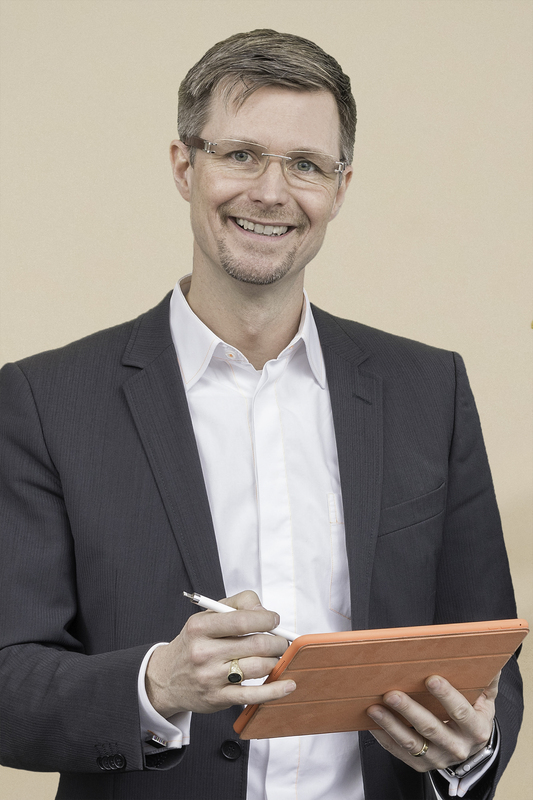 First, I think it is important, to be clear with the wording – our leaders are humans – they do not need to become digital themselves 😉 but leadership in the digital age has quite some new challenges. Looking at the many presentations about digital leadership, I see most attributes not as „digital“ but as „great“ leadership. So leaders, who showed respect, appreciation, trust, curiosity, engagement… will not need to „change“ here. „Bosses“ who practiced command & control, expecting their people to just „work, don’t think“, follow orders, don’t question decisions… will have a problem in a more transparent, connected, virtual work environment. Good leadership is a „minimum“ requirement in a non-disciplinary team, a network or community. 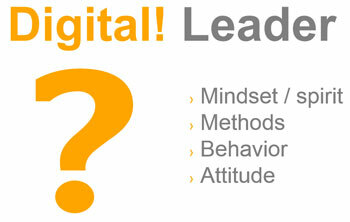 The „digital“ part in the leadership headline is all about the impact of a leader in the digital world. Digital means creating impact in a way, which is not possible in the physical world. Time-independent, Location-independent and scalable … test it with the „digital“ services you know: UBER, AIRBNB, Amazon, GOOGLE, FaceBook, Twitter, YouTube, Wikipedia, SkypeForBusiness, ConNext, LinkedIn … no matter where you are, no matter when – you always get answers or the service… and it is absolutely scalable. Does your leadership style scale? Social Collaboration and Communication is still seen by most leaders as „?“ (click here to see a simple example, why leading by eMail is just too limited) – that is the most essential education area for leaders, as the world is connected now, networks do not follow „command & control“, communities don’t work by a structured one-size-fits-all process. Leaders in the digital age have followers! There are already colleagues out their, who show great leadership skills in the digital world – they have an online reputation, they connect people, the build valuable and trusted networks, they create impact in an unknown level. Harald, thx for your thoughts and great input. I agree too most of the points, but would recommend-in addition to your first learning steps- to do a lot of selfreflection and oher self-coaching exercises in order to become a great (digital) leader. I although think that we should make sure that not only the leader but also his/her team schould be trained in socail and communication skills. And last but not least it’s all about organizational culture which we have to work on or disrupt!